The residential market in picturesque Harfield Village, renowned for its quaint historic cottages, quiet leafy streets and vibrant business hub, has demonstrated notable resilience this year, with an increase in sales volumes and only a slight dip in the average house price. According to Propstats data, 34 houses at an average sale price of R2.5 million were sold in the suburb during the first 10 months of 2018 compared to 28 sales averaging R2.68m during the same period last year. 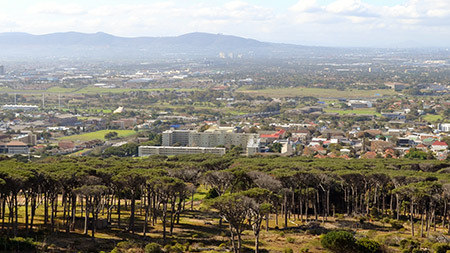 Arnold Maritz, Southern Suburbs co-principal for Lew Geffen Sotheby’s International Realty, says: “This popular Southern Suburbs enclave has enjoyed a buoyant market over the past eight years, with the average sale price of houses increasing steadily since 2010 when the year closed on R1.4m. Last year it nudged up to R2.68m, only succumbing to market pressure this year with a 6.7% dip to R2.5m by October. Marc Plastow and Mitchell Mckenzie, Area Specialists for the agency, attribute the market’s buoyancy to a number of factors, including the suburb’s location, its compact size and age of properties which have contributed to prices remaining competitive in a high-value area. “Accessible pricing, a vibrant village atmosphere and the convenience of having all the essential amenities right on their doorstep are compelling drawcards for first time buyers and young investors who accounted for 39% of all recent buyers during the last 12 months to date. Although the suburb still comprises 80% freehold properties, the sectional title market is gaining ground, with a brand new 28-unit complex called The Wentworth planned for Wessels Road. According to the duo, properties priced up to R2.4m are still selling within a few weeks of going to market, with homes priced below R1.5m guaranteed to be snapped up. However, homes for up to R3m can now take up to three months to sell and a few of the properties above the R3m mark have already been on the market for more than six months. Sales of well-priced properties have also been spurred by the strong rental market which has attracted investment buyers to the area. They add that they have also noticed an increase in the number of home owners who choose to renovate their homes when their needs change rather than sell up and move as they realise that it would be difficult to match value and lifestyle in most comparable neighbourhoods. “Residents love the fact that they can just stroll down the road to meet friends for coffee or enjoy a meal at one of several great restaurants and it’s not surprising that Lightstone data reveals that almost 50% of the current home owners have lived in their properties for 11 years or longer.